Bus Aras Terminal, Store Street, Dublin 1. Varming Consulting Engineers have recently been appointed by Iarnrod Eireann as the Building Services Engineers associated with the Design and Site Monitoring of proposed refurbishment works to the Bus Aras Department at the above premises. This commission is of particular significance to Varming Consulting Engineers in that our first commission practically seventy years ago was to act as Building Services Engineers as part of the Scott Tallon Walker Design Team in the design of the original building which was opened in 1953. 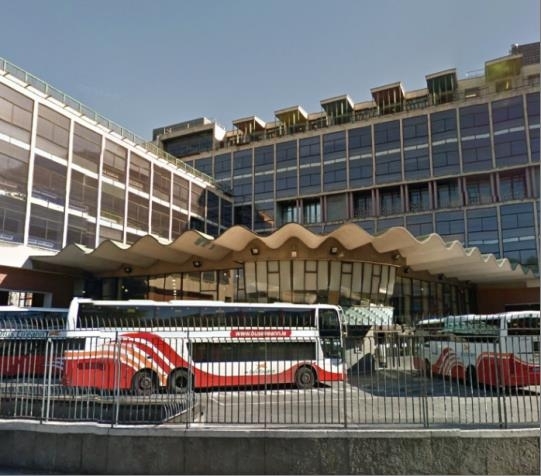 The building is currently occupied by the Department of Social Welfare and Bus Aras, with the Bus Aras occupied areas located in the Basement, Concourse and Mezzanine levels only. The works scope includes conditional survey report generation, system proposals and the design of new mechanical & electrical services complete with new associated plant to serve the refurbished Bus Aras occupancy. The existing building is of heritage value and hence conservation requirements must be accommodated by the design inclusive of harmonisation with the existing architectural building features. The project is planned for completion in early 2016 and compliments our successful experience in heritage building projects generally and with Iarnroid Eireann as a client.